In a recent study, Sara Hobolt and Thomas Leeper examined public opinion on various dimensions of Brexit using an innovative technique for revealing preferences. Their results suggest that while the public is largely indifferent about many aspects of the negotiations, Leave and Remain voters are divided on several key issues. Despite the argument that Brexit was about sovereignty and only secondarily about immigration, new data suggest otherwise. 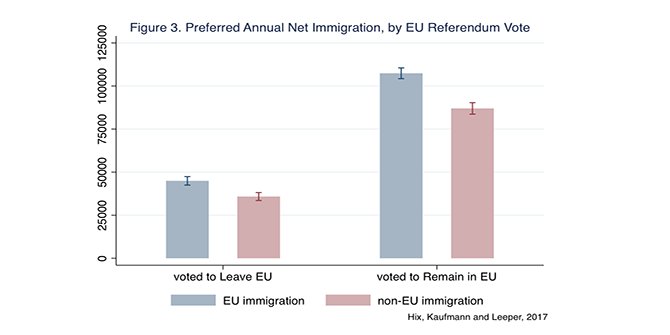 Simon Hix, Eric Kaufmann, and Thomas J. Leeper show the importance of reducing immigration levels – especially from outside the EU – to British voters. On Friday 20 January, Donald J. Trump was sworn in as the 45th President of the United States. His inaugural address, hinting at a radical departure from previous US policies with potentially big repercussions on all other continents, sent shock waves throughout the globe. Expert contributors give their rapid reaction to the inaugural address.